The first 50 people through the doors at Got Craft? on both Saturday, December 14th (10-8pm) and Sunday, December 15th, 2013 (10-5pm) at the Maritime Labour Centre will receive a FREE swag bag! 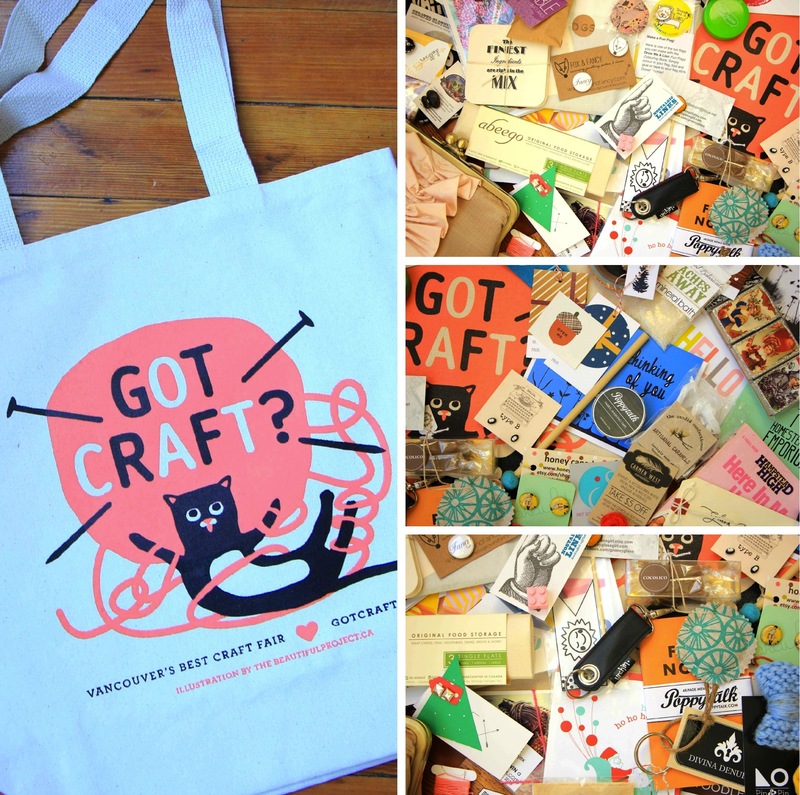 Designed by The Beautiful Project and hand printed by Locomotive Clothing, each bag is stuffed with a selection of goodies from our vendors and our lovely sponsors including MailChimp and UPPERCASE magazine. Square,the official payment processor of Got Craft?, will once again be providing six gift certificates with a combined valued up to $300.00*! Certificates will be randomly placed in 3 swag bags each day, so be prepared to arrive early! Prize will be available for pick up at Got Craft? (front desk). Winner will be notified by email. 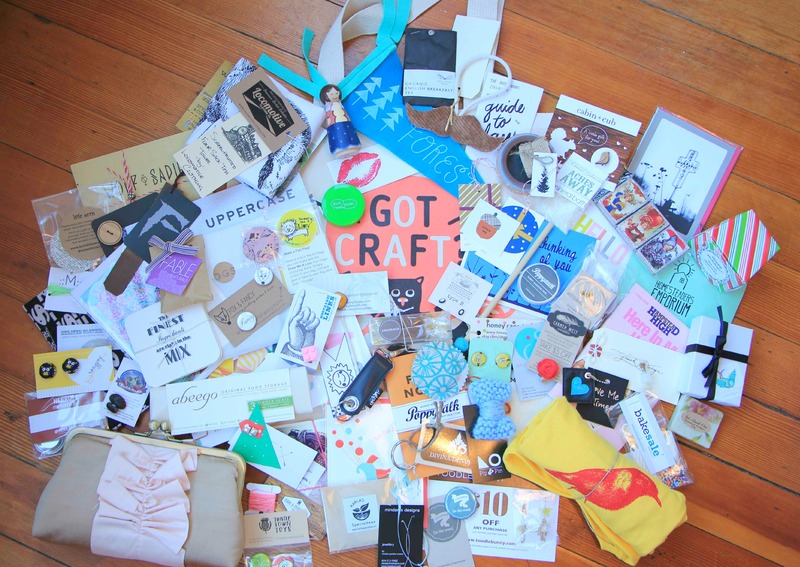 * 1x $75, 1x $50, and 1x $25 gift certificate to be used at Got Craft? 2013 will be randomly placed in three swag bags each day. First 50 paid attendees through the doors each day will receive a swag bag. Got Craft? :: Dec2013 Vendor Line Up! We want to thank everybody that took the time to submit an application for this years’ show and are grateful for the amazing support that we received. Each year, the number of applications outweigh the available spaces and it is always a difficult process to narrow down our vendor list. To continue our goal to make it the best event that we can, we are happy to announce that 25% of the vendors at the next show are new! Thank you to MailChimp, UPPERCASE, Poppytalk, Scout Magazine, Matchbox Creative, Square, Locomotive Clothing, and Spool of Thread for the continued support. 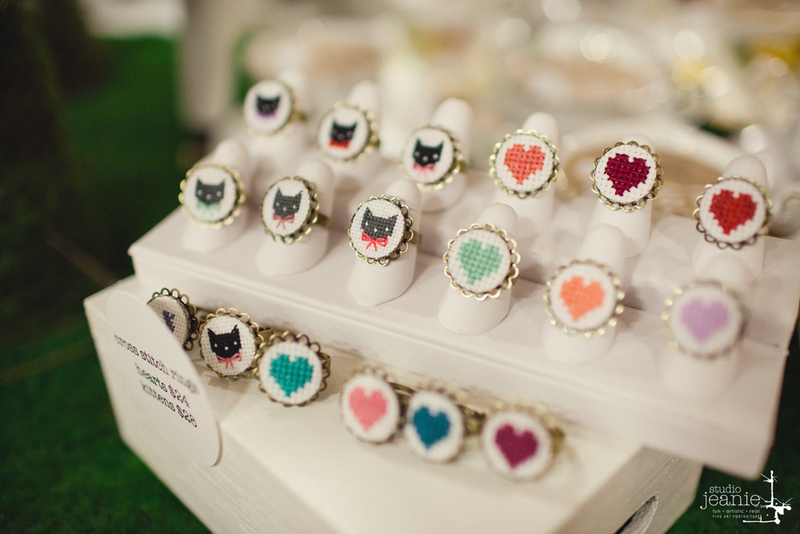 Thank you to everyone that attended Got Craft? last weekend! Despite the last minute changes, we had another amazing event and owe it all to our amazing vendors for their flexibility and to our volunteers that went above and beyond to make sure that the transition to the new venue went as smoothly as possible. We also want to thank all of our followers for their words of support, retweets, likes, and emails over the past week. We truly was amazed by the number of messages that we received and how everybody was ready to lend a hand in spreading the word. The Got Craft? holiday show is scheduled for Saturday, December 14 and Sunday, December 15th. Vendor applications are available online here. We’ll be taking a short trip to Toronto, ON tomorrow morning to work on another event. I’ll still be tweeting and instagramming (did I just make that into a verb? ), but plan on taking a wee break from the blog to refresh and catch up on everything else. See you back here soon! A big shout out to our ah-mazing sponsors: MailChimp, UPPERCASE magazine, Square, Spool of Thread, Scout Magazine, Poppytalk, and Locomotive Clothing.